This MP3Is a magical spell in which I use the most brilliant intense and enchanted dialogue To cast a spell on your tiny little man brain…This i s a 100% real Magic spell and will Transform you into the controlled, addicted and bewitched slave I want you to be. Using my very real and amazing spell casting powers along with suggestions, your subconscious mind & hypno brainwashing techniques to completely and utterly enchant you for ever and ever!!! After listening to this MP3 OR watching the video version, you’re going to be amazed at how powerful this actually is – after you listen to this you will be ready to listen or watch any other of my clips or MP3s for the other magic and spells. This should be listened to first before you buy watch or listen to anything else. 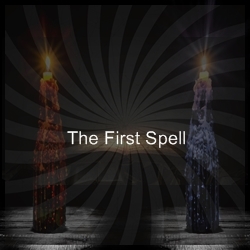 This is 1st first spell, the one that absolutely will have a black magic on breakable immutable effect on you… Listening to this will be just as if I sprinkle magical fairy dust above your head or had you drink some magic potion… Nothing is more powerful than this. The sound of my voice and the use of my words & the effects of my power are going to take you far far away. Listen now!